Thomas Harris struck pop cultural lightning with the creation of Hannibal “The Cannibal” Lecter, the imprisoned, elegant, freakishly intelligent psychopath who maneuvers around the edges of his novels Red Dragon and The Silence of the Lambs. Although Hannibal appears for minimal amounts of time in those stories (He isn’t pushed to the forefront until the novel Hannibal, arguably the weakest of the original Hannibal trilogy. The less said about Hannibal Rising, the better. ), his presence dominates almost every appearance he makes. His character is the most fascinating of boogeymen– one who has no qualms about killing and eating those who annoy him but would use the appropriate dinner fork to place them inside his mouth. 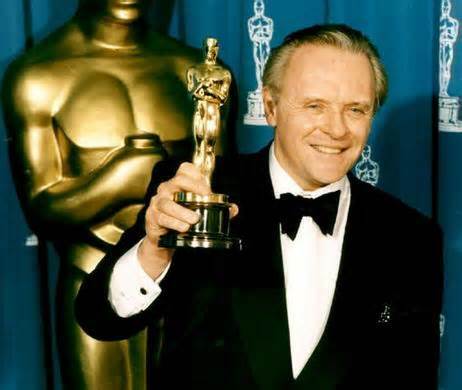 The character captivated mainstream audiences and gave Anthony Hopkins a Best Actor Oscar, despite only 16 minutes of screen time. If you asked the average individual which F.B.I. agent best matched wits against everyone’s favorite genius/ psychopath, most would say, “Clarice Starling,” while visions of a brunette Jodie Foster and Death’s-head Hawkmoths danced in their imaginations. However, there is an earlier F.B.I. agent that matched wits with our favorite cannibal: reluctant criminal profiler Will Graham. He appears in only one story– Harris’s novel, Red Dragon, then the two film adaptations of said novel, but now he is the focalpoint of the new the new Hannibal Lecter-prequel series, Hannibal. Hannibal Lecter, arguably the most iconic screen villain of the last twenty-five years has been portrayed by four different actors, and Will Graham, often thought of the character who is not Clarice Starling, has been played by three. 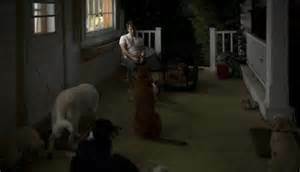 In honor of NBC’s brilliant new series that no one is watching, because most television viewers are unsophisticated nitwits unaccustomed to trying new, ground-breaking, artistically interesting television series, I thought I would do a retrospective of the three times Will Graham has been portrayed in both film and television. I feel like this may have been a rejected Death Wish poster. Until 2007’s dreadful Hannibal Rising, Michael Mann’s Manhunter (an adaptation of Red Dragon, not called that so audiences wouldn’t think they were getting a karate film, according to lore) was known as the only Lecter film to not feature Anthony Hopkins. The film was critically praised but underperformed financially. 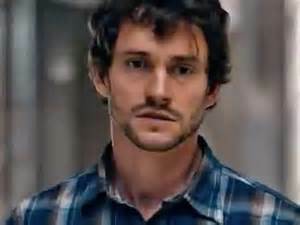 It also gave us the first portrayal of Will Graham, as portrayed by C.S.I. and Young Guns II alum, William Petersen. 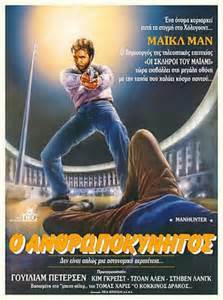 The events in Manhunter and the novel that inspired it take place after Lecter has been incarcerated. Graham is presented as the man who discovered Lecter’s sinister proclivities and ended his crime spree, but at a possible cost of his mental stability and a near loss of his life. 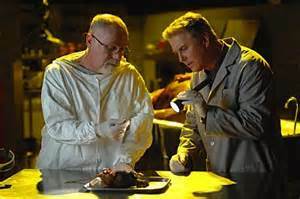 The film opens with Graham retired from the F.B.I., forced back into criminal profiling in order catch a killer dubbed the “Toothfairy” and forced into visitations with Lecter (spelled Lecktor in the film, for some unknown reason) in order to request his help in stopping the Toothfairy. What ensues is a psychological battle of wits in which Lecter twists and torments Graham every step of the way, while Graham feels himself drawn deeper and deeper into the world of criminal profiling he had hoped to leave behnid after Lecter.Petersen portrays Graham as a reluctant hero, bothered by his ability to understand the criminal mind (a gift that led to brief institutionalization) but ultimately willing to throw himself into the fray in order to take down the killer. “Oh man, this is pretty hard on me. I hope I never have to go back to a life of crime scene investigation. He has emotional ties to the world through his wife, Molly and his stepson, Josh, but he exists as a man haunted and worried about the effects his ability could have on both his family and himself. There are moments when his eyes appear vacant and numb, because he is so overwhelmed by the strain of the Toothfairy murder spree, Lecter’s psychological tormentings, and once again having to think like a monster. 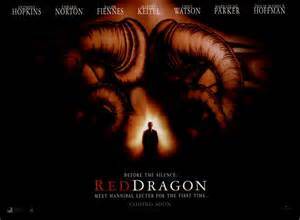 For those who have only seen Red Dragon, you may be surprised by how little Lecter appears on screen in this adaptation. His screen time is probably only around ten minutes of the film (if not less), and Brian Cox plays him as a smaller, more human entity than Hopkins did. It’s an interesting, chilling performance, but smaller and less memorable than one might expect. The film doesn’t even describe Lecter as a cannibal, merely a serial killer (if “merely” is the appropriate term). Most of the focus is on Thomas Noonan’s brilliant turn as the vicious, yet all-too-human Toothfairy. The film is superior to its remake, Red Dragon, but it struggles to balance Will’s haunted nature with its need to have a man of action at its center. As a result, you get an odd, awkwardly balanced character who both says things like, “Okay, sport, I’m coming for you” to a rain-soaked window, but also sits in a hotel room looking haunted and pensive and suffering from nightmares. Petersen is effective and compelling as the leading man, and clearly relishes the conflicted facets of Graham’s character, but the film is not as balanced as it should be and the ending feels rushed and almost anticlimactic. As a result, the film exists as a flawed, slightly dated looking but worthwhile and above-average crime thriller. Ah, the 1980s: where everyone lived in a world of blue-filter night. Manhunter is available to purchase on DVD and Blu-ray, as well as stream through services such as Amazon and Vudu. Seemingly made just to give Anthony Hopkins another chance to portray the character he made iconic, Brett Ratner’s adaptation of Thomas Harris’s first Hannibal Lecter novel (which got to use the novel’s actual name because karate movies were no longer commonplace, I guess) covers the same territory Michael Mann explored, but with flashier visuals and more Lecter. 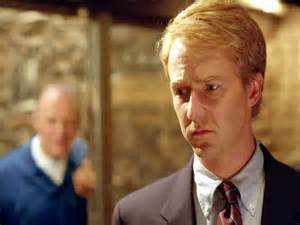 Here, Edward Norton imbues Will Graham with a far less haunted mind. Norton’s lanky, slight build should have made him more vulnerable, but instead he’s even less haunted and conflicted than Petersen’s portrayal. He’s not investigating. He’s just looking for someone to kill. 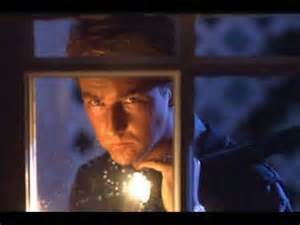 He’s intense and driven, but his reluctance to venture back into the world of criminal profiling is practically dropped within the first twenty minutes of the film until he begins to realize his family has become a potential target and during the film’s climax (which is closer to Harris’s novel than Manhunter’s and one of the few ways in which the film is superior to Michael Mann’s thriller) in which the consequences of Will’s abilities can have on his wife and child (he seems to be Will’s child, rather than a stepchild here) are thrust into the forefront. The film is capable of strong, powerful moments, but they are few and far between. Like Manhunter before it, Red Dragon suffers from being forced to have a central protagonist that must be a more proactive man of action, and it increases Lecter’s screen time, making him more of a focal point, while sacrificing Graham’s character development. The movie’s cast, particularly Norton and Ralph Fiennes as a serial killer both malicious and sympathetic, is strong, but the movie feels clumsily, unsubtly directed and Hopkins’s Lector seems more campy than sinister. It’s a competently made film, but it isn’t essential viewing. Red Dragon is available to purchase on DVD and Blu-ray, as well as stream through services such as Amazon and Vudu. NBC’s prequel series, Hannibal, presents the “When Lector Met Will Graham” back story and provides the most conflicted, haunted version of Will Graham ever to be featured on screen, as played by Hugh Dancy. I’ve already written about my love for this series, particularly Dancy’s central performance, but the sentiment bears repeating. Despite the series title, Will Graham is the series’ focal point. Thomas Harris’s novels state that Graham only met Lecter moment before he realized Lecter was the monster he was hunting and Lecter attempted to kill him. The series presents them as long-working together colleagues and friends, with Lecter playing therapist to Dancy’s haunted by visions in the dark profiler. The series has a major advantage over the two previous incarnations of Will Graham, in that it has several hours to develop and establish its character, while the films only have a little more than two hours. Accepting that, however, Dancy’s portrayal of the character is by far the most compelling screen portrayal of the character. Dancy plays Graham as a man whose mind could snap at any moment. He feels everyone’s emotions, whether he wants to or not, including those of the serial killers he is forced into profiling. He would just as soon simply lecture at the F.B.I. Academy, but he is pulled into profiling because his unique ability to see and understand a killer’s mind is such an asset. This gift, however, takes a major toll on his mental well-being, He suffers from nightmares of feathered deer and killers’ brutal actions now carried out by his own hand, awakening in frequent cold-sweats, and occasional bouts of sleep-walking. Awake, he looks weary and lost as he forces hmself to see and imagine human nature’s worst aspects. Dancy plays him as a man at the end of his tether, forced continue stretching past his breaking point, because he feels an obligation to assist when he can. He knows the toll his work is taking on him, but he cannot stop himself because he knows he makes a difference. Viewers are probably taking bets as to whether Hannibal or Will will break first. His work places his barely balanced sanity on even more precarious footing. Hannibal, functioning as his mentor and therapist, acts as a friend but works to keep him isolated from others and ingratiate himself as the most powerful influence over Will’s vulnerable mind. The series gives Will no wife or child to grant his mind respite. He has those around him who care for him and seek his emotional connection, but he finds human interaction difficult. His lonliness is palpable, but his ability keeps him disconnected. Except for dogs. He has lots of connections with dogs. The series is as much about Will slowly collapsing barriers and letting others into his private life as it is serial killers and criminal profiling. The series’ major drive involves the haunting, emotionally draining effect violence has on those who experience it in their daily lives. It also deals heavily with the theme that those who fight monsters live in fear that monsters are what they must eventually become, especially when the series is focused upon Graham. However, the violence around the central characters seem to take its toll on all of them. Will is simply the most vulnerable to its influences, because he seems incapable of closing his mind to its destructive force. Dancy, with his large, haunted eyes, hidden behind glasses and his awkward, desperate demeanor makes Graham a sympathetic, fascinating series lead and the most effective portrayal of the character thus far. Hannibal airs on NBC Thursdays at 10/9 Central, and past episodes are available to purchase through Vudu and Amazon, as well as viewable through nbc.com and on-demand services. Definitely check out the mini-sode of the series’ fourth episode that was pulled due its subject matter but was put online as a “cannibalized” version that focuses on the character dynamics between the show’s regular and recurring characters. It’s choppy, due to its edited nature, but the character interactions are compelling. So what do you think? 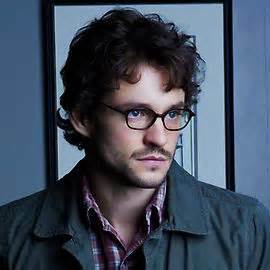 What’s your favorite portrayal of Will Graham? Are you a fan of NBC’s series? Let us know in the comments! Next Entry Hey, Guillermo del Toro has a New Movie, and it has a Trailer! Were You Guys Aware of This?